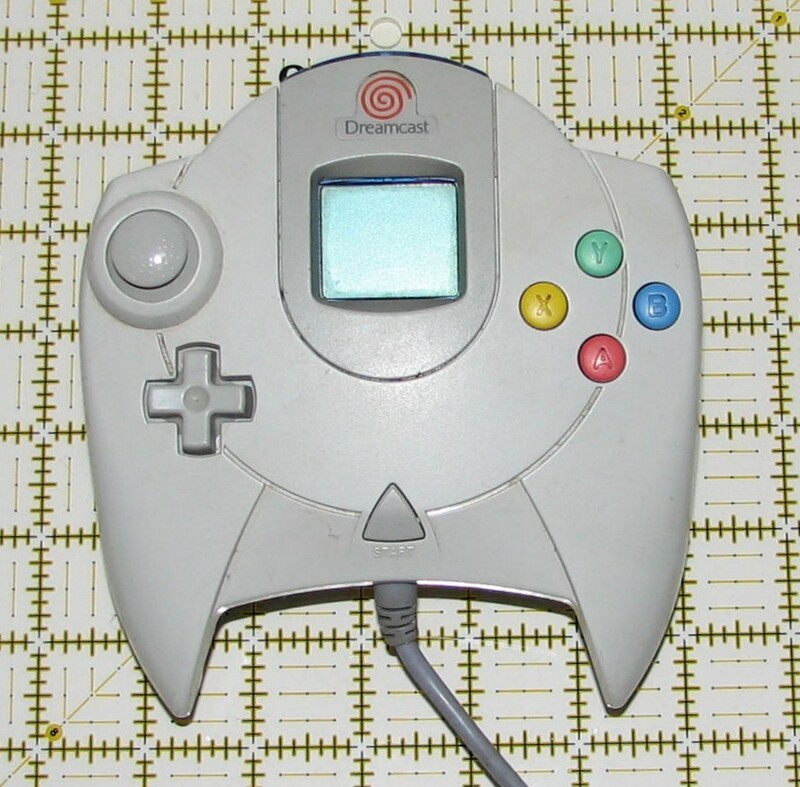 Sega released the Dreamcast in 1999 (On 9/9/99). It used a proprietary optical format disc, known as a GD-ROM, which was the same size as a conventional CD, yet had a higher capacity (1.2 GB, as opposed to 700 MB). The system had a large controller with a single analog stick, a D-Pad, four action buttons, one secondary button, and two shoulder buttons. It was the first console to be released in the second generation of 3D systems. Although it had initial success, having been released a year ahead of the PS2 and two years ahead of the XBox and GameCube, it was ultimately unable to compete against those later systems and was the first of them to be discontinued. Following the failure of the Dreamcast, Sega decided to pull out of the console hardware market, and instead license its games for use on other systems. 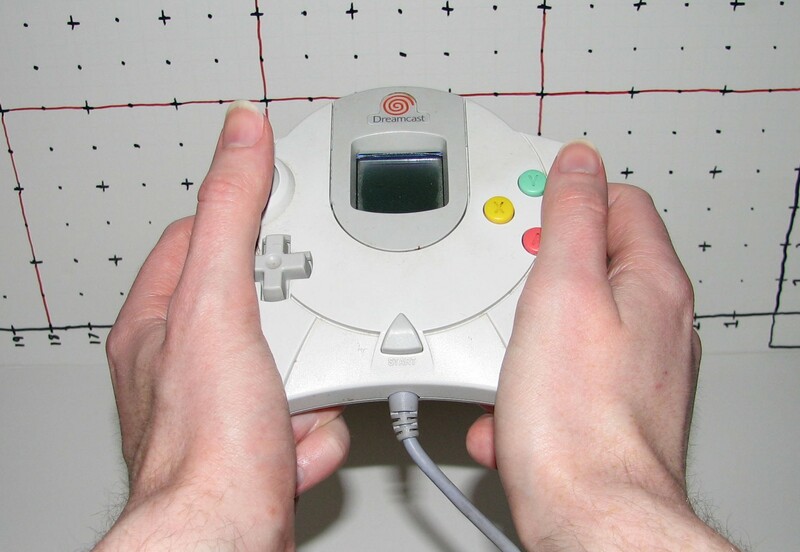 The Dreamcast has two buttons at the front of the top of the console: "POWER" on the left and "OPEN" on the right. At the middle of the front of the top is the power indicator light. Most of the top of the console is taken up by the lid of the disc tray. The lid is mostly a circular shape around 6in (15.5cm) in diameter. The hingle of the lid makes a triangluar shape that connects to the power indicator at the front. 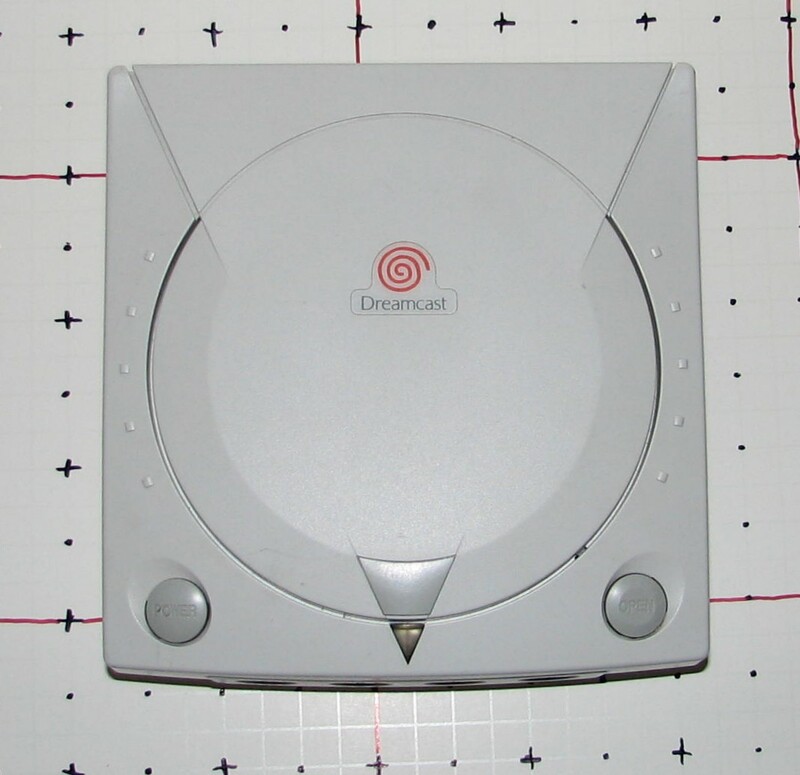 Near the center of the lid is the orange spiral Dreamcast logo. Along the left and right sides, on the unit itself are arcs of five small bumps. 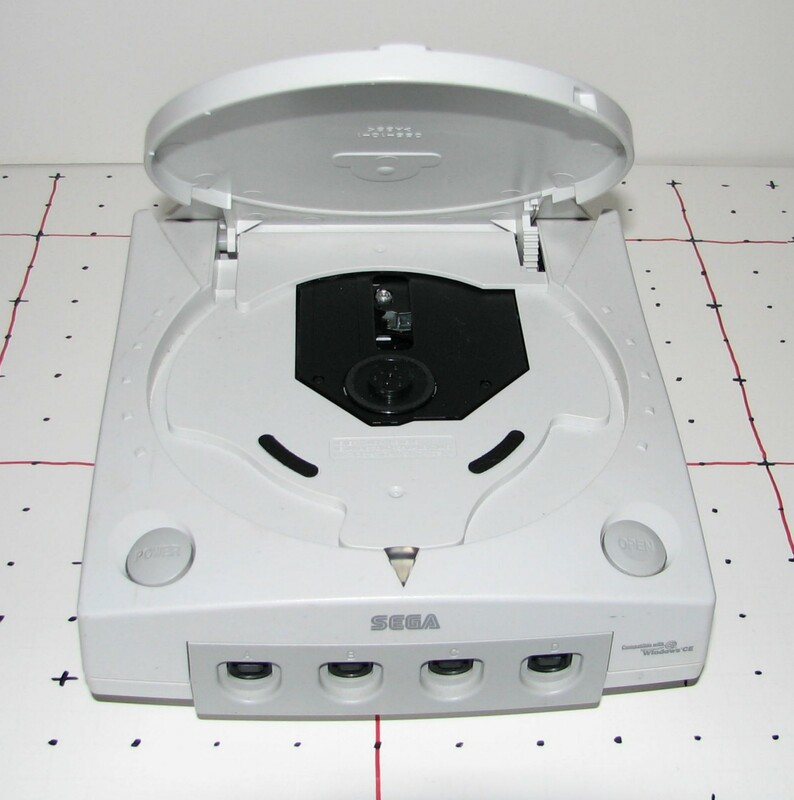 The front of the system has the Sega logo in the center of the top. A mark on the right side reads "Compatible With Microsoft Windows CE". 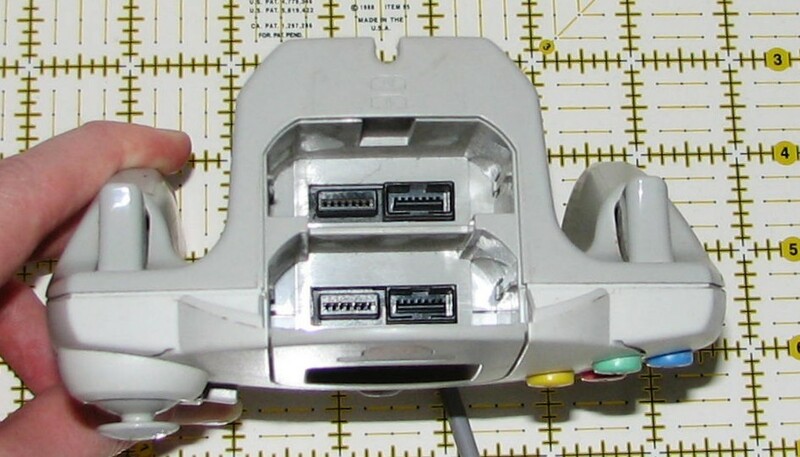 There are also four controller ports on the front, labeled "A", "B", "C", and "D". 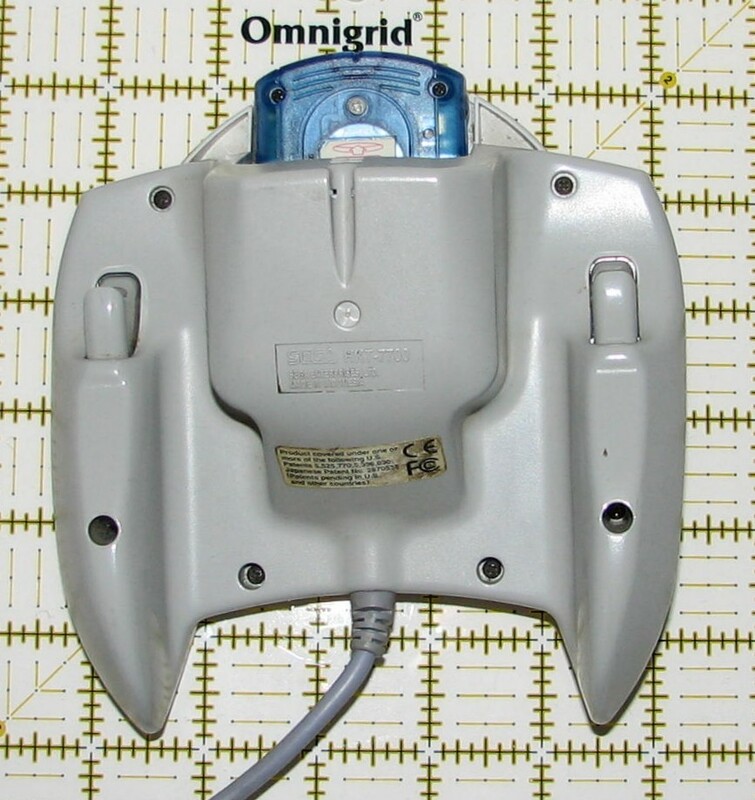 On the right side of the system is the expansion port, typically used by the Dreamcast 56K Modem. 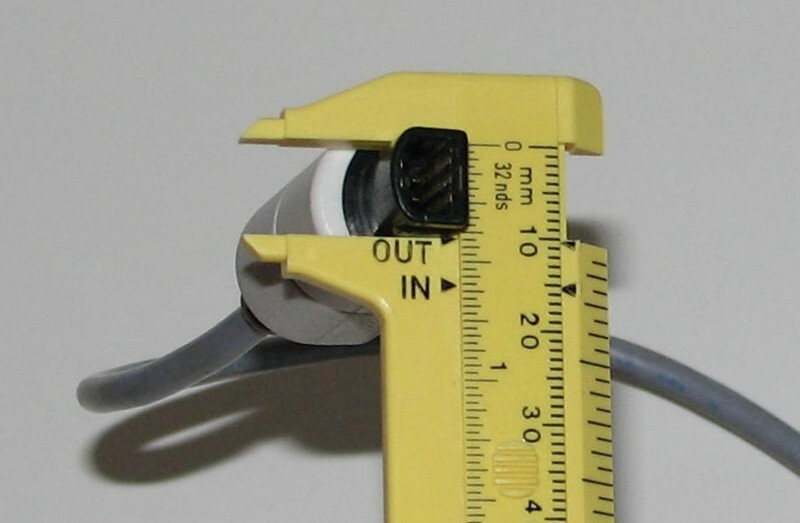 With the modem removed, a wide port is revealed, marked "EXTENSION". 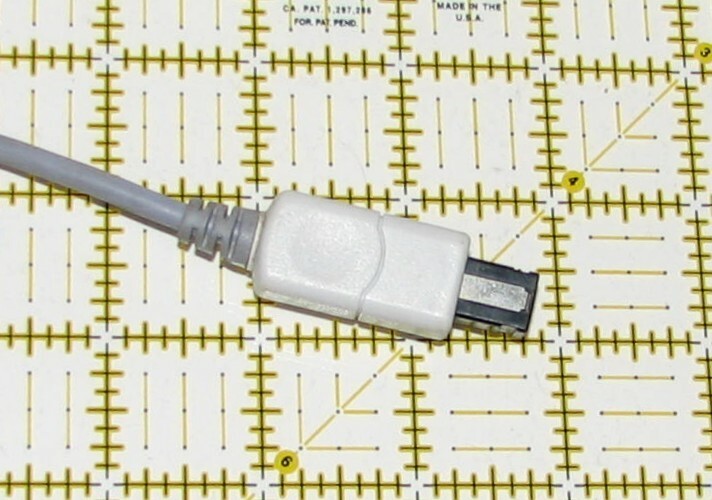 The back of the system has a power connector, marked "AC IN", a video connector, marked "AV OUT", and a port marked "SERIAL". If the modem is installed, it is on the left side and is marked "LINE". The bottom of the system has a label listing safety, patent, and other technical information. 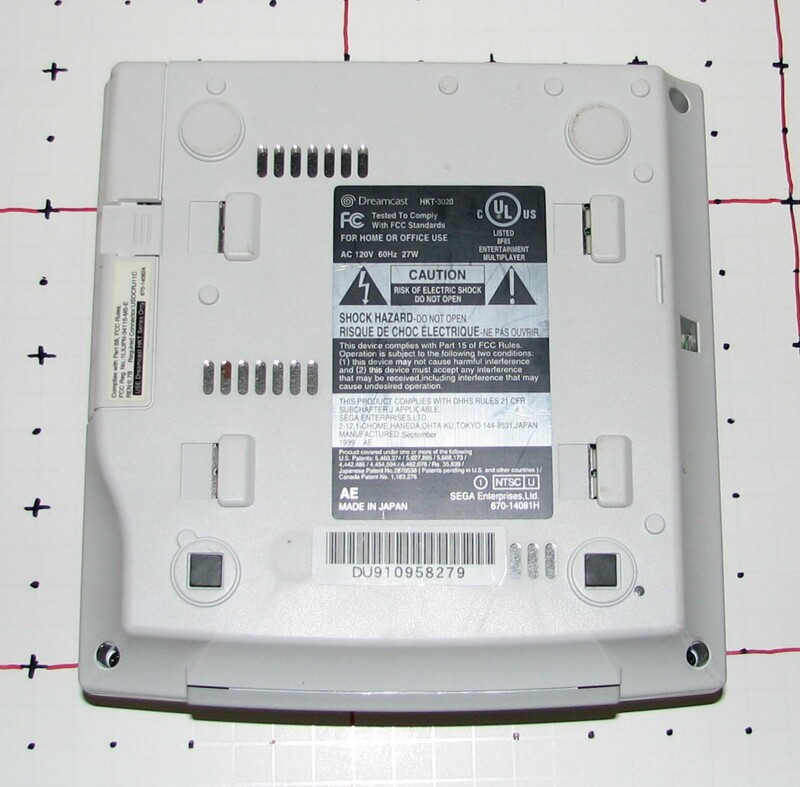 In part, this label reads: "Dreamcast HKT-3020 Tested To Comply With FCC Standards FOR HOME OR OFFICE USE AC 120V 60Hz 27W UL LISTED 8F85 ENTERTAINMENT MULTIPLAYER CAUTION RISK OF ELECTRIC SHOCK DO NOT OPEN SHOCK HAZARD - DO NOT OPEN. RISQUE DE CHOC ELECTRIQUE - NE PAS OUVRIR. This device complies with Part 15 of FCC Rules. Operation is subject to the following two conditions: (1) this device may not cause harmful interference and (2) this device must accept any interference that may be received, including intereference that may cause undesired operation. THIS PRODUCT COMPLIES WITH DHHS RULES 21 CFR SUBCHAPTER J APPLICABLE. SEGA ENTERPRISES,LTD. 2-12,1-CHOME,HANEDA,OHTA-KU,TOKYO 144-8531,JAPAN Manufactured: September 1999 AE Product covered under one or more of the following U.S. Patents: 5,460,374/5,627,895/5,688,173/4,442,486/4,454,594/4,462,076/Re. 35,839/Japanese Patent No. 2870538 (Patents pending in U.S. and other countries)/Canada Patent No. 1,183,276 AE MADE IN JAPAN 1 NTSC U SEGA Enterprises, Ltd. 670-14081H" Beneath this label is a serial number and barcode. The front of the controller has an analog stick on the left side. Below the analog stick is a D-Pad. In the center of the bottom of the front of the controller is the start button, shaped like a triangle pointing upward. On the right side are four action buttons. The top one is green and labeled "Y", the right one is blue and labeled "B", the bottom one is red and labeled "A", and the left one is yellow and labeled "X". All four buttons have small indicator bumps. 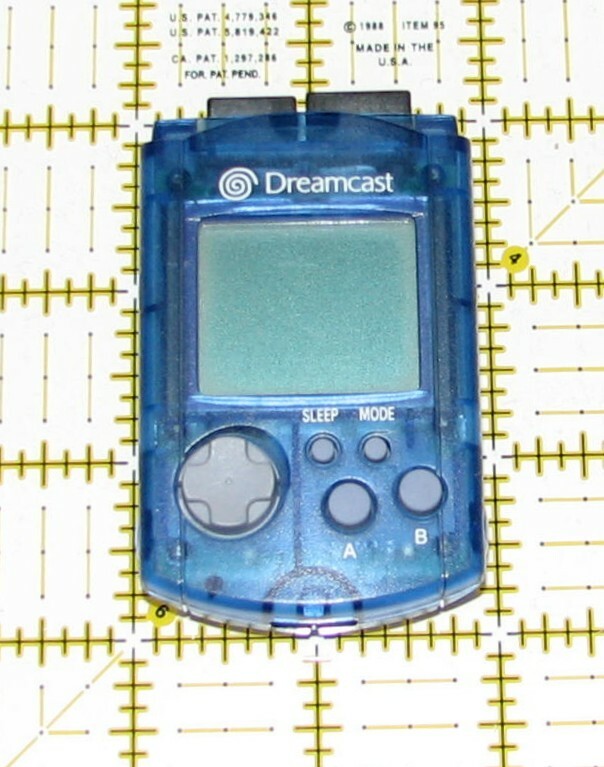 In the middle of the front is a window which will expose the screen of a VMU plugged into the controller, which sometimes displays something related to the game being played. Above this window is the spiral Dreamcast logo. In the top of the controller are two ports for VMUs, Memory Cards, Rumble Packs, and other peripherals. There is a small marking indicating slots "1" and "2". 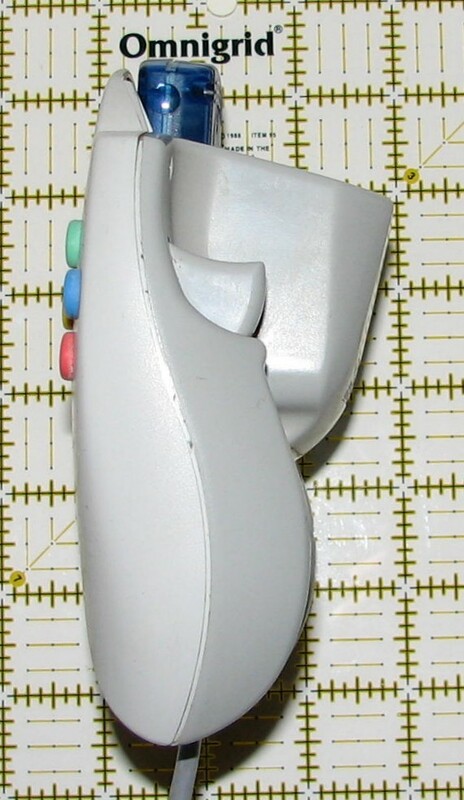 On the handgrips on the underside of the controller are unlabeled trigger buttons. The wire inexplicably comes out of the bottom of the controller, facing away from the TV and presumably the console, although there is a small notch in the memory card port enclosure which can hold the wire and direct it toward the console. Embossed into the back side of the controller is the following: "SEGA HKT-7700 SEGA ENTERPRISES, LTD. MADE IN INDONESIA" Beneath that is a sticker which has the CE and FCC compliance logos and the following text: "Product covered under one or more of the following U.S. Patents 5,525,770;5,396,030;Japanese Patent No. 2870538 (Patents pending in U.S. and other countries.)" 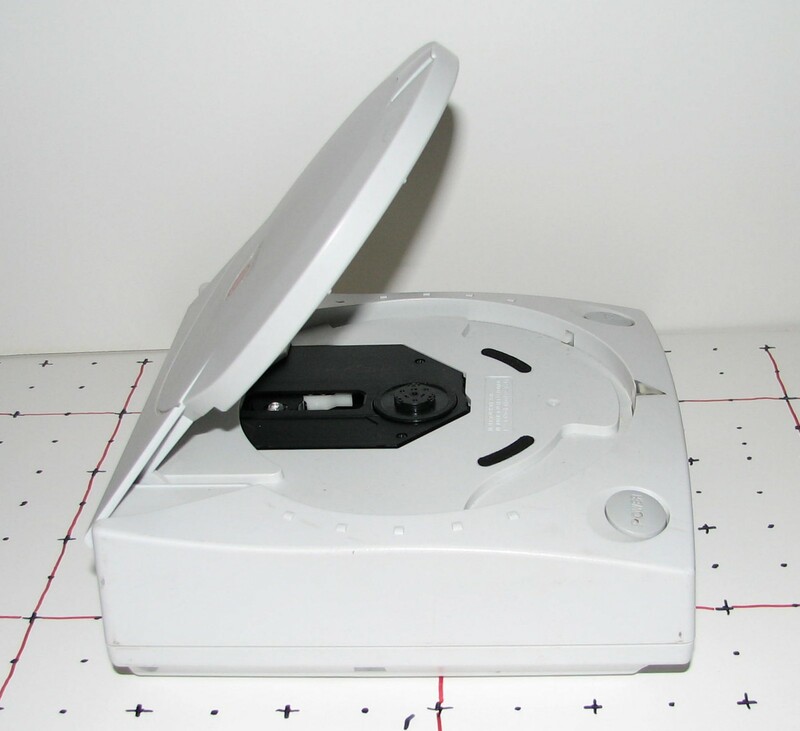 Dreamcast games are in clear cases the size and shape of a standard CD jewel case. The image on the front is provided by the instruction booklet which slides into the front cover. Most of the cover graphic is specific to the game. The only common elements are the semi-circle branding strip on the left side and the ESRB rating in the bottom right corner. 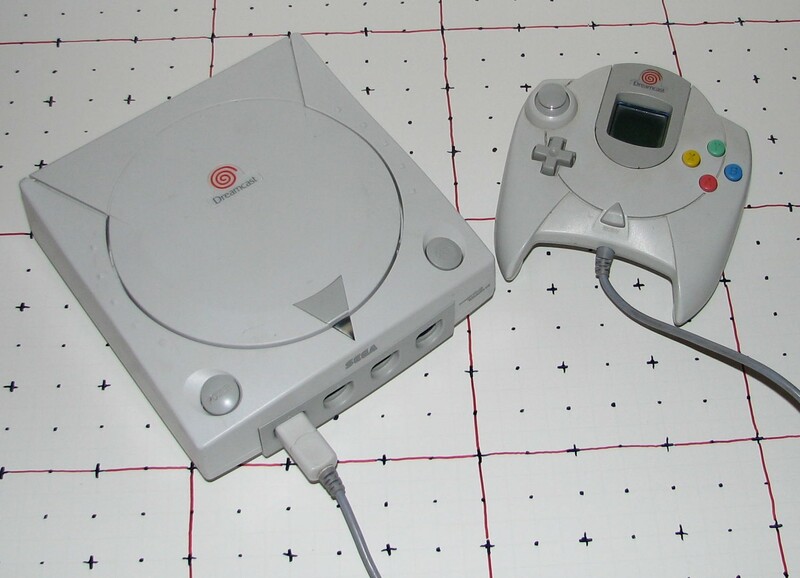 The branding strip is sometimes white with an orange triangle and sometimes black with the spiral Dreamcast logo. The spine has the spiral Dreamcast logo, the game title, the part number, and the Sega logo. 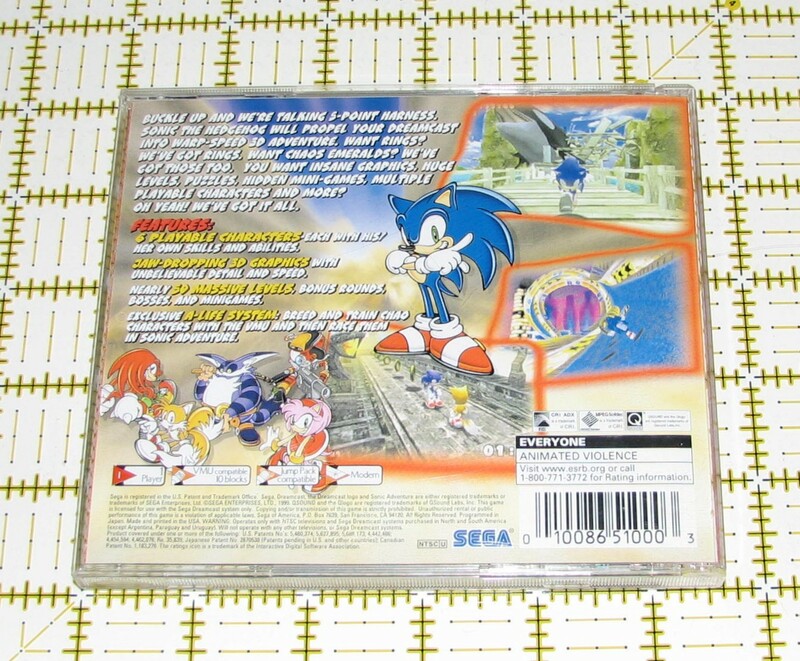 On the back, the top 80% contains graphics and text specific to the game. 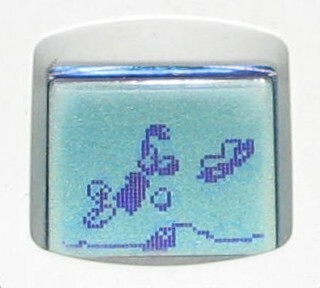 The bottom 20% contains a strip listing game features (Such as the number of players, the space required on a memory card to save a game, and misc. hardware support), the ESRB content descriptor, the UPC barcode, region information, corporate logos, and a block of small print containing copyright information. Behind the disc, inside the case is usually some more game specific artwork. 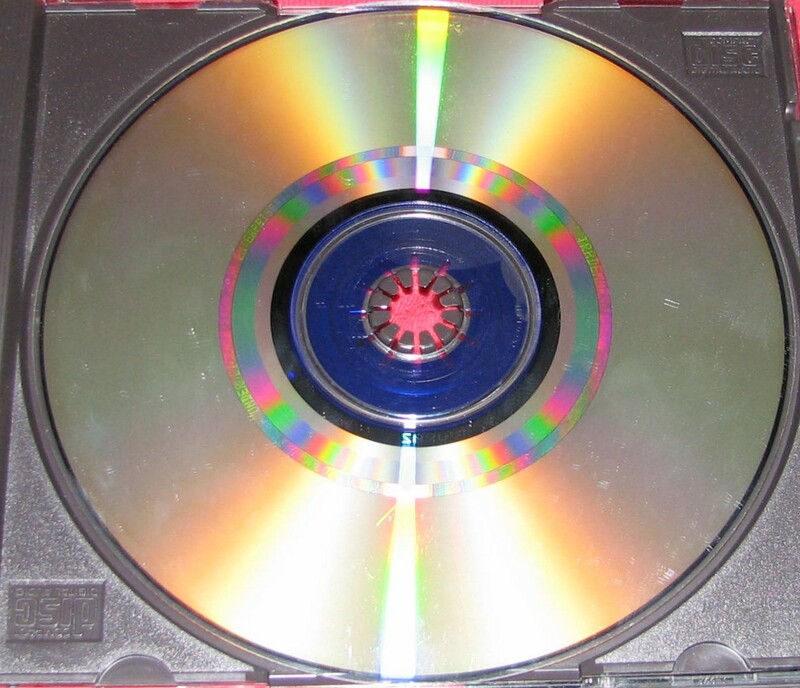 The discs themselves look like normal CDs, although they are, in fact, proprietary GD-ROMs, which have a capacity larger than a CD, but smaller than a DVD. 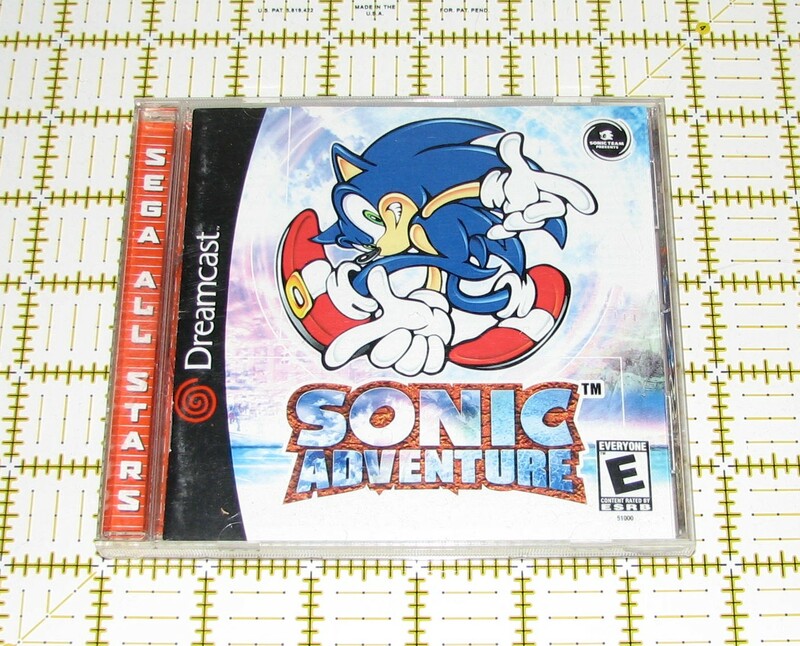 The front of the disc has game artwork printed on it, along with the Dreamcast spiral logo, the ESRB rating, copyright and trademark information, and a ring of copyright and license information around the outer edge. The back of the disc is typical shiny silver, however, there are three distinct rings visible on the disc. The middle ring is the narrowest, and under the right light, it can be visibly seen to read "Trademark SEGA PRODUCED BY OR UNDER LICENSE FROM SEGA ENTERPRISES, LTD." When placed in a CD Player or CD-ROM drive, there is typically an audio track that informs the user that the disc should only be used on a Dreamcast, as well as some copyright information files. Some games may even have PC readable content, such as wallpaper graphics, however, the game data is not readable by most CD-ROM drives.